Since the 1945 introduction of the Nigerian Football Federation, the West African nation has become a top soccer contender on the international stage. 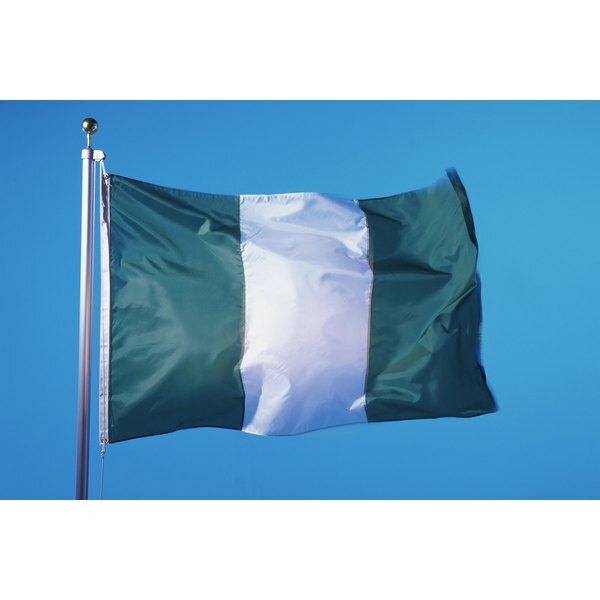 Nigeria, under British control for centuries, has played in the World Cup and Olympics, and held its own professional national championships since gaining full independence in 1960. Although sports have been an integral part of Nigerian society for centuries, they were little more than leisure activities. Prior to 1963, few athletes made an international impact, especially in football. According to Online Nigeria, the National Sports Commission was founded to lay the foundation for all sporting event organization in Nigeria. Though the Nigerian Football Federation already was a governing body, football in Nigeria was still confined to the African boundaries, rarely making appearances outside the continent. Championships were played among rival clubs from Lagos, Port Harcourt and Calabar. Nigeria began participating in Africa's Challenge Cup in the 1960s. The Cup was originally named the Governer's Cup by the British. The Challenge Cup fueled Nigeria's desire to play in the World Cup, though the team was unsuccessful in qualification matches. But Nigeria qualified for the 1970 World Cup in Mexico. It produced widespread national interest, along with more emphasis on Nigerian soccer. In 1972, the Nigerian National League was born, beginning with five teams and growing to 12 by 1978. Nigeria won bronze medals in the 1976 and 1978 African Cup of Nations competition. In 1980, the Super Eagles won the championship in Lagos. In 1984 and 1988, Nigeria captured silver medals in the tournament. Since the 1980s, Nigeria's U-17 team has won three international world championships, including in 2007. Nigeria qualified for the 2010 World Cup in South Africa with a 3-2 victory over Kenya in 2009. Nigeria tied South Korea 2-2 in South Africa, but lost to Greece and Argentina and failed to make it out of the first round. Nigeria, which has produced top players such as Mikel John Obi and Jay-Jay Okocha, will again be a favorite during qualifying for the 2014 World Cup in Brazil. Sharin Griffin has been a freelance writer since 2009, specializing in health-related articles. She has worked in the health-care industry as a certified nursing assistant and medical technician. Griffin's medical expertise encompasses bariatrics and geriatric care, with an emphasis on general medicine. She is completing an associate degree in health-care administration from Axia University. What Golf Balls Do the Professionals Use?